Beachfront Studios are nestled along the Cofresi Beach shores, with views of the Ocean. There are 180 Beachfront Studios with a mix of King and 2x Double Beds. Adjoining rooms are configured with 1 King Bed in one room and 2x Double Beds in the other. Making one unit ideal for couples or 2 adjoining units perfect for a small family! All rooms have air conditioning, cable television, phones, ceiling fans, hair dryers, safes and mini-bars. 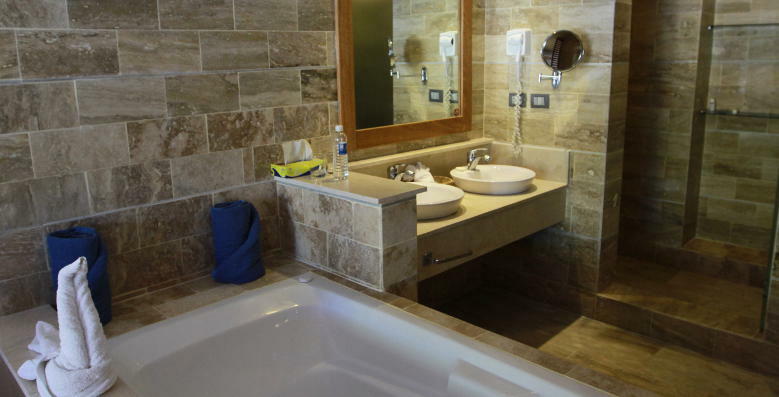 While the décor has a distinctive design, featuring modern comfortable furnishing, marble floors, bathrooms with marble appointments, jacuzzi tub, separate shower and double sinks. Shaded patios and verandas provide a relaxing place to gather.